Regular updates are part and parcel of the Fortnite experience and this weekend saw two changes being made. The in-game message updated to reveal a new weapon type: the Mounted Turret. Its description reads: Place the Mounted Turret and hop in to apply some suppressive fire! Careful not to overheat. As it is a suppressive weapon, it may have a high rate of fire but deal low damage. Being fixed to the ground, it could prove very useful for shooting down airborne opponents if placed on a tall enough structure. 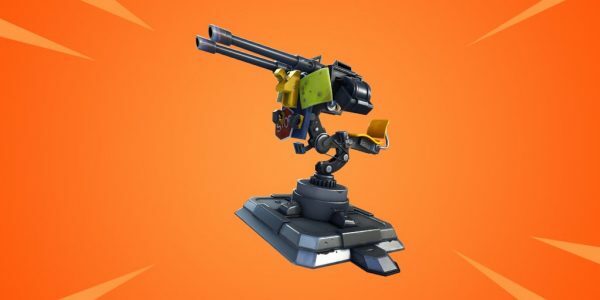 The Mounted Turret may also have unlimited ammo, with the overheating mechanism acting as a means to stop players unleashing an endless barrage of bullets. It’s accuracy, range and damage aren’t known at this point and it is expected to be patched into the game on either Tuesday 13 or Thursday 15 November. The Mounted Turret isn’t the only change to have happened over the weekend. The new LTE Blitz was taken out of Fortnite and replaced with Disco Dominations within three days of going live. It’s unclear if the mode will return in the future or if it’s been temporarily shelved by Epic Games.